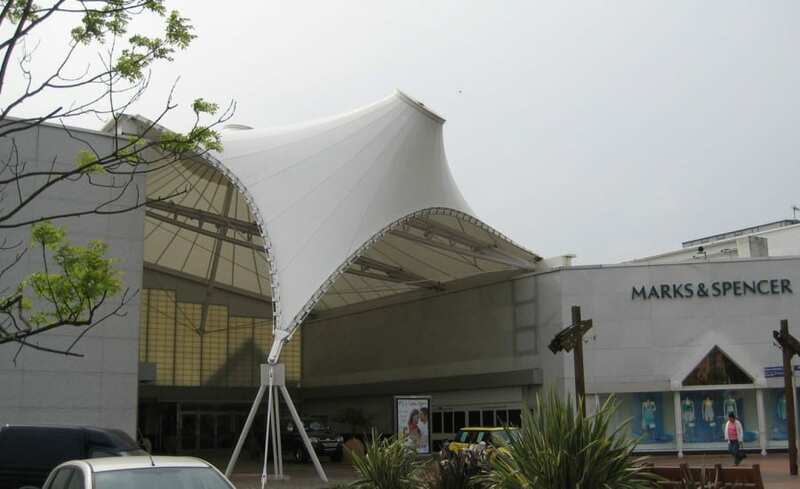 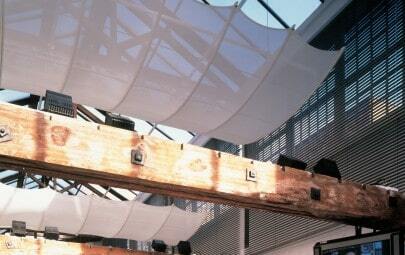 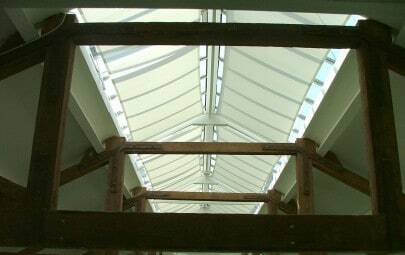 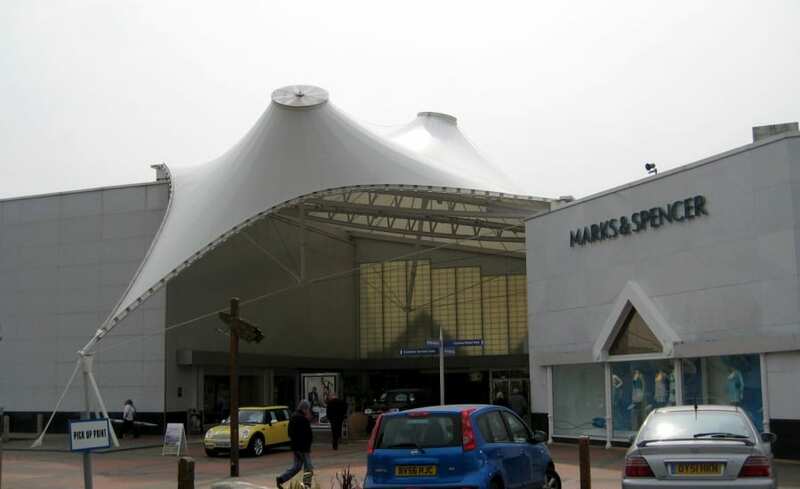 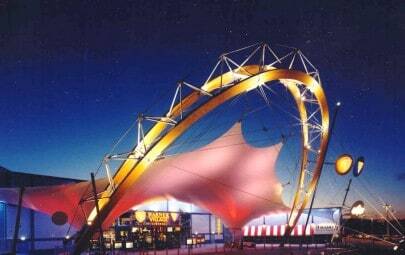 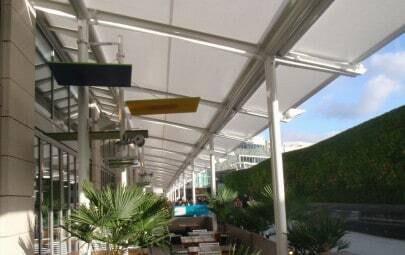 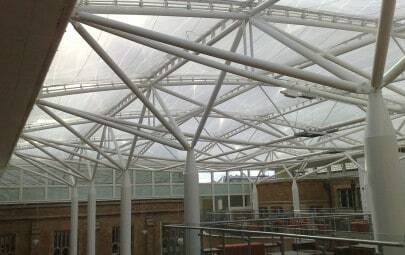 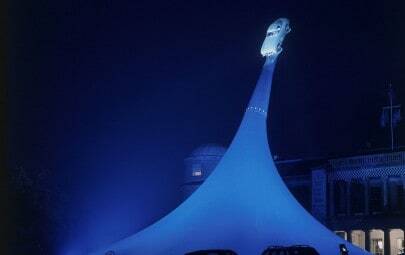 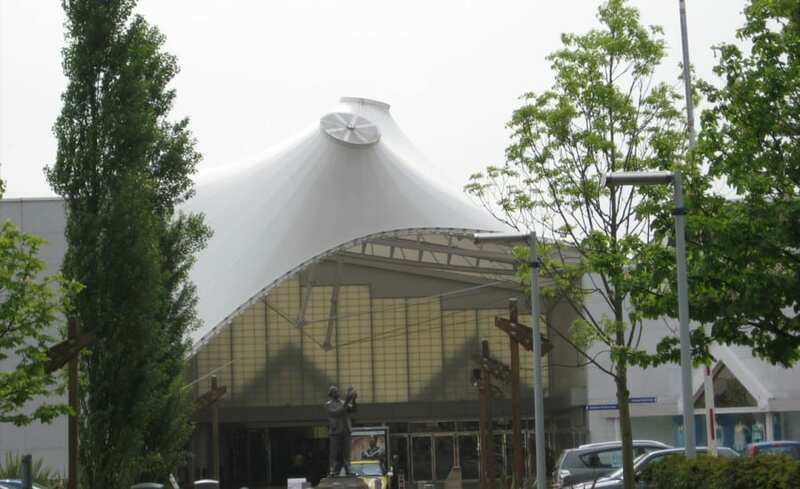 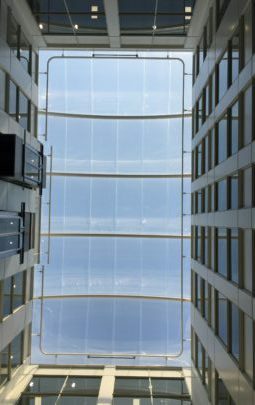 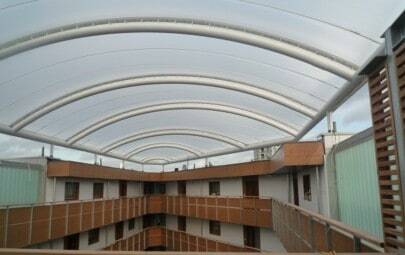 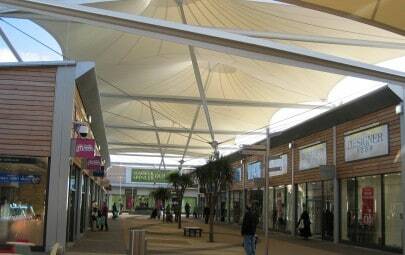 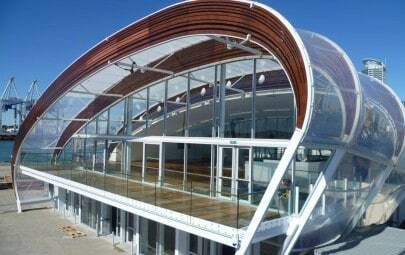 The design and build of a tensile PTFE fabric atrium canopy at the entrance to an existing shopping development. 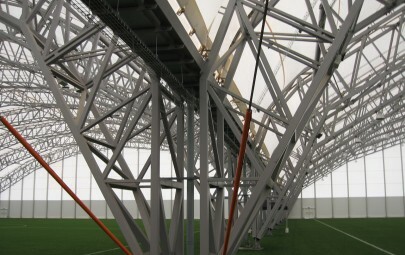 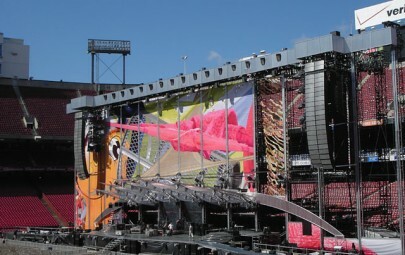 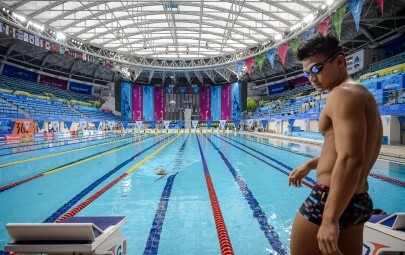 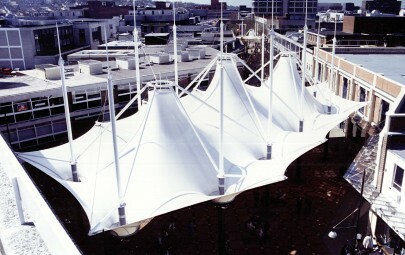 A one piece twin coned canopy supported by two telescopic masts suspended via a system of steel tie rods between the mast bases and perimeter beam. 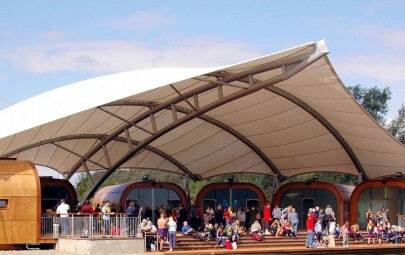 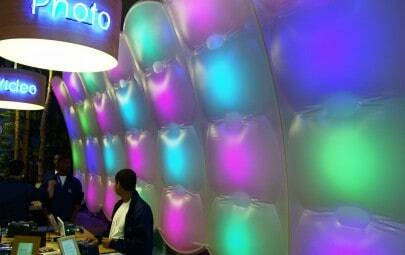 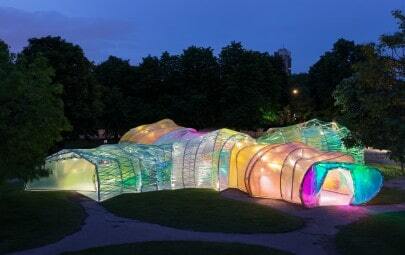 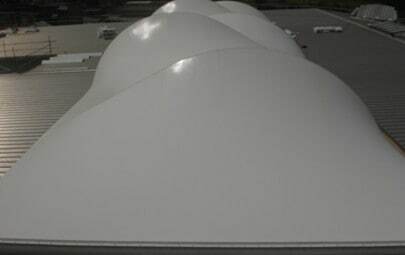 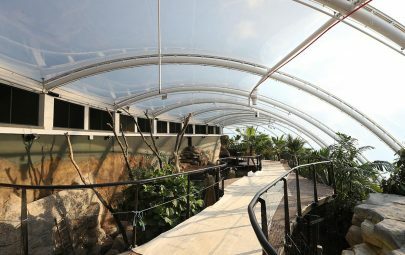 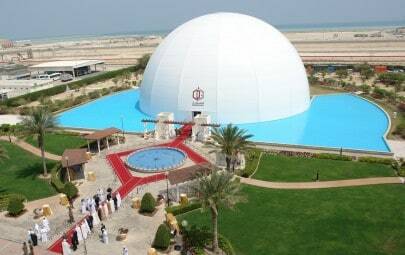 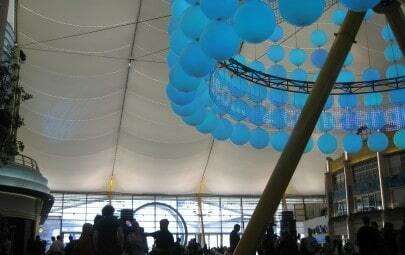 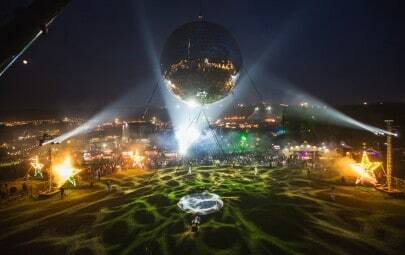 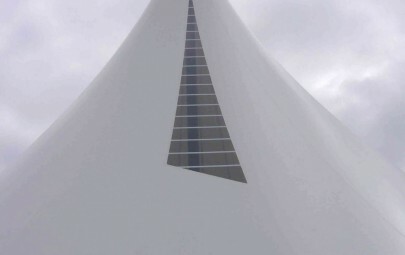 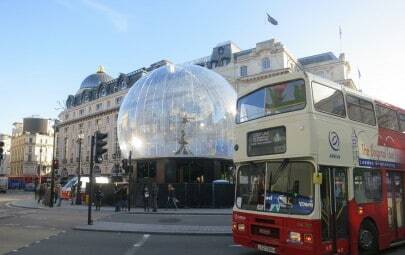 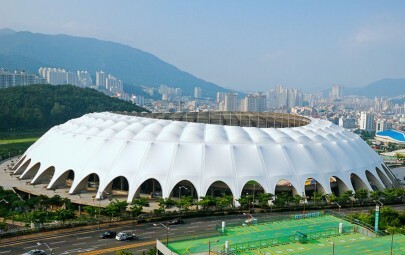 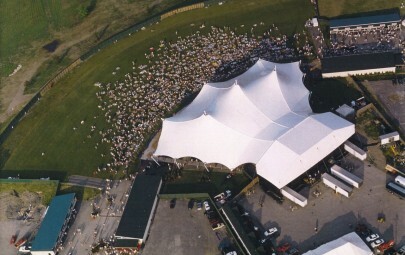 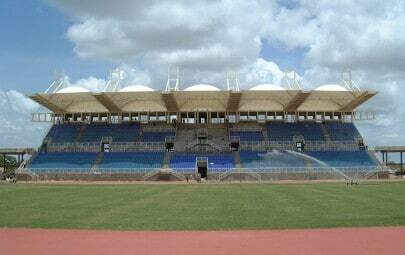 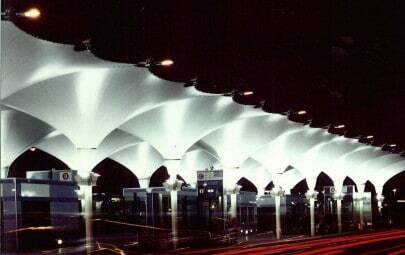 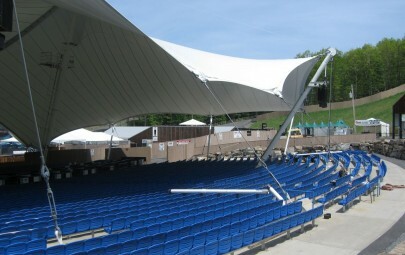 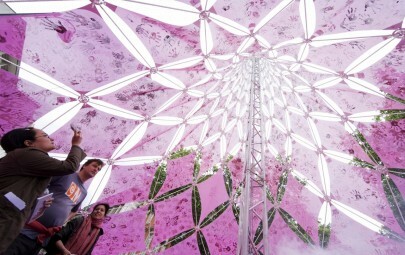 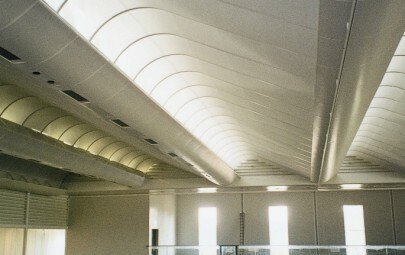 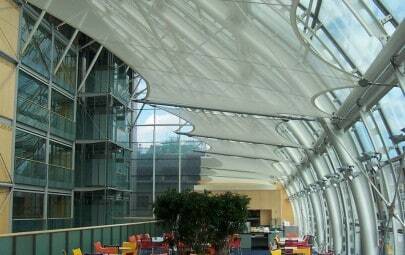 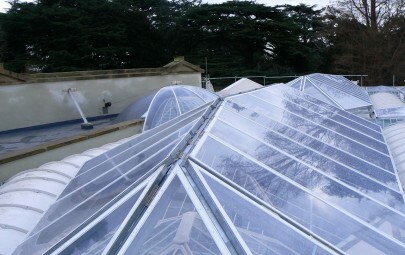 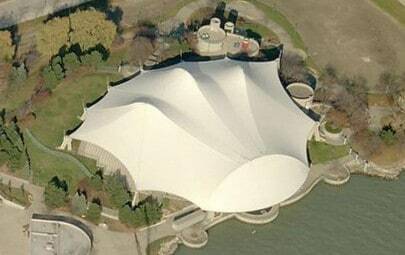 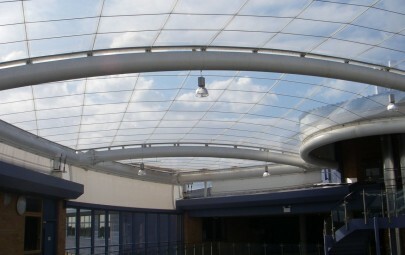 The twin peaks of the canopy are enclosed by convex polycarbonate domes. 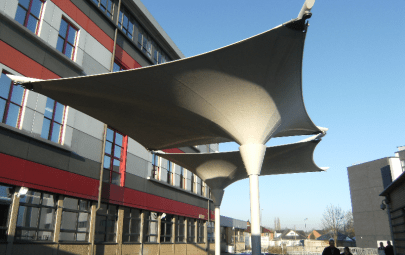 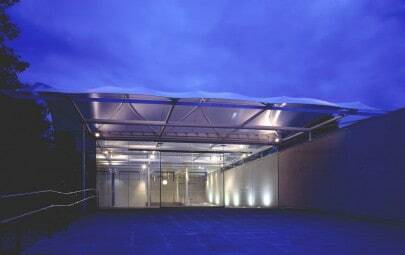 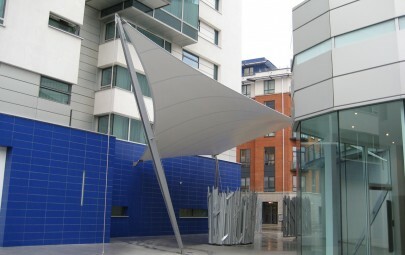 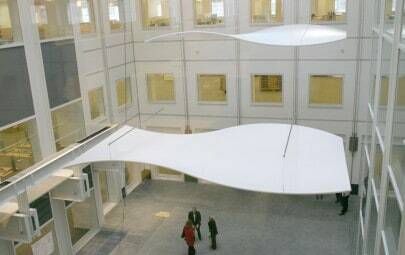 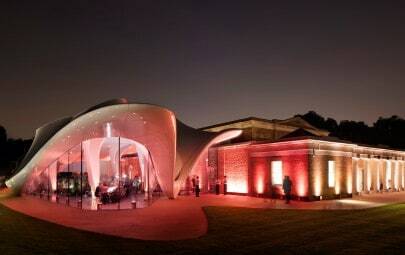 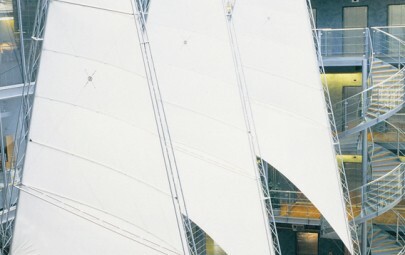 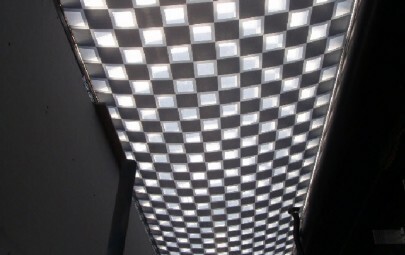 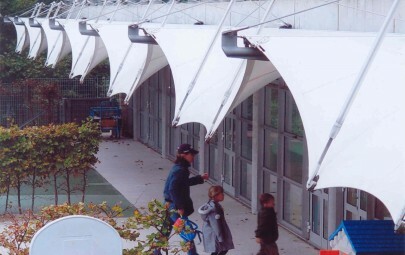 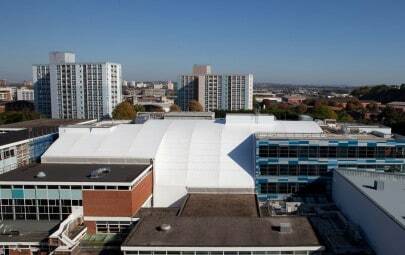 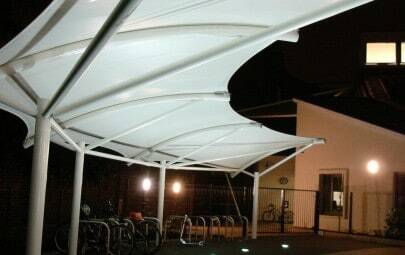 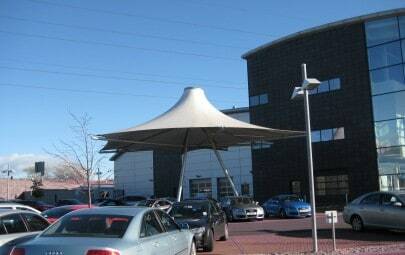 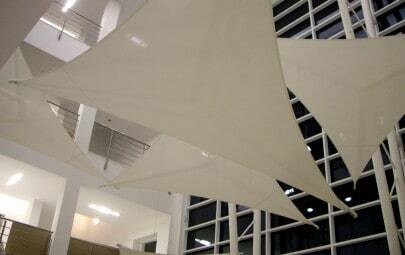 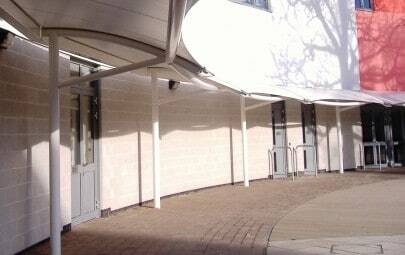 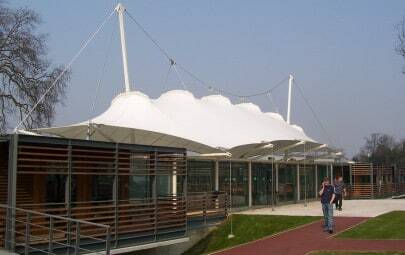 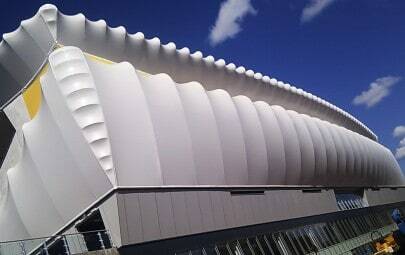 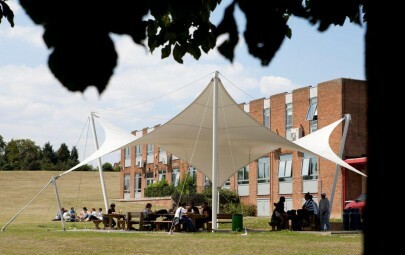 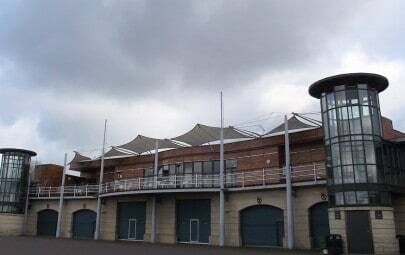 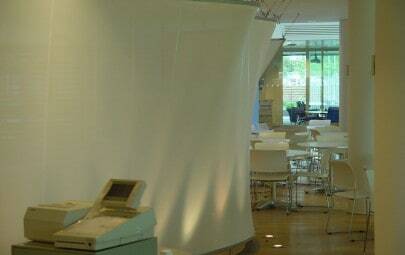 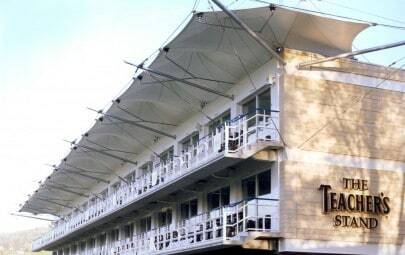 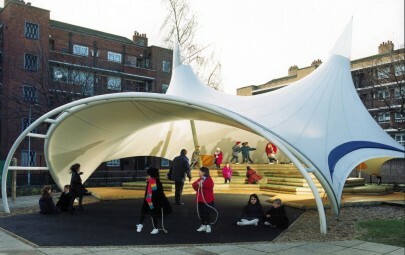 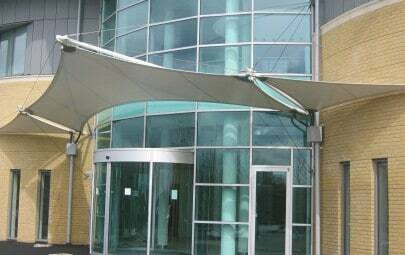 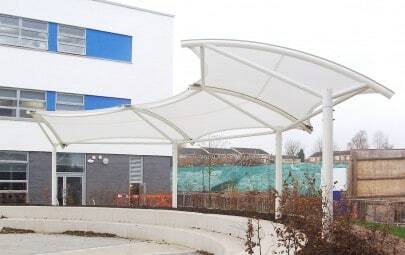 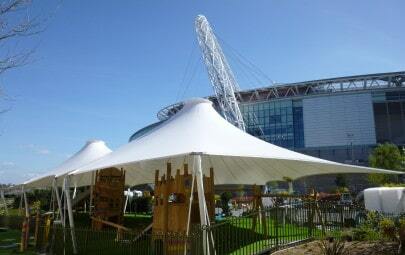 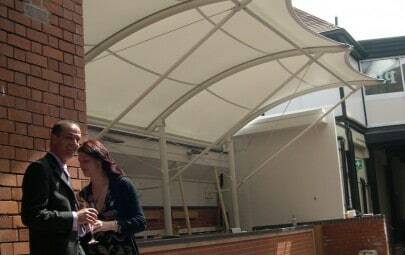 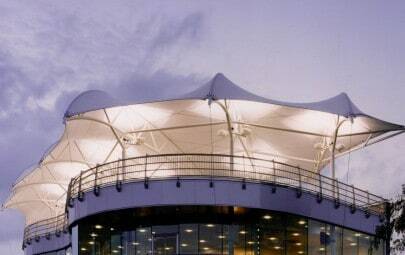 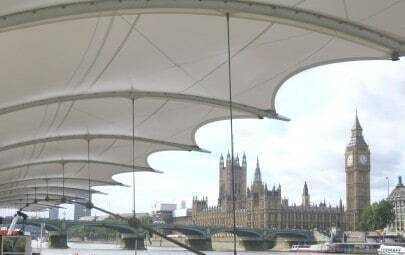 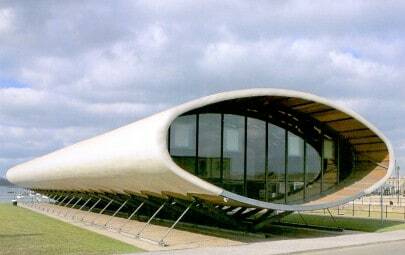 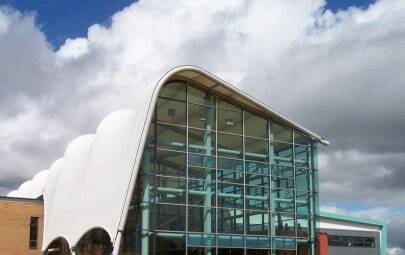 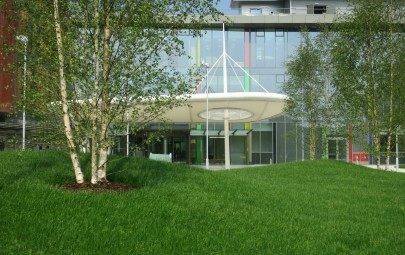 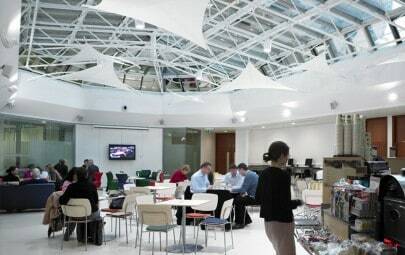 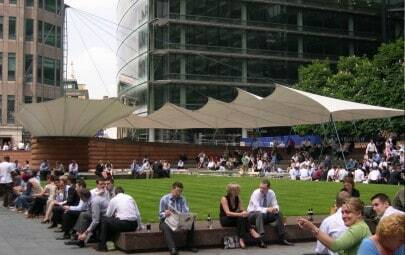 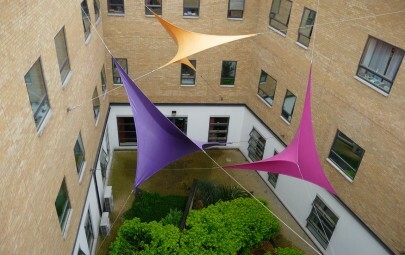 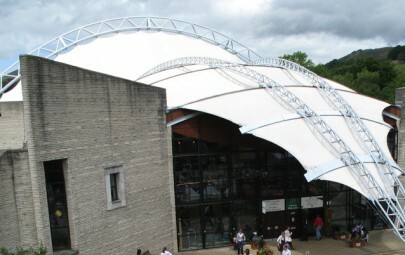 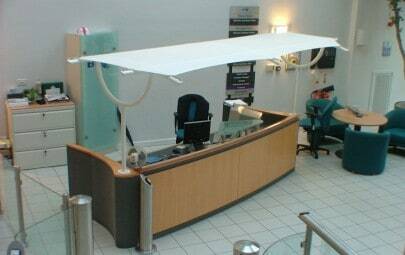 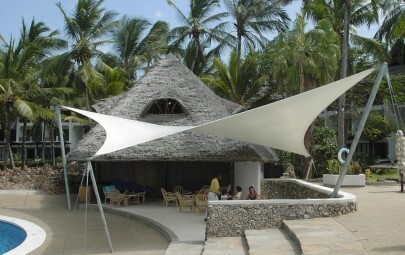 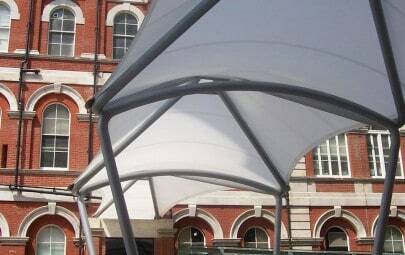 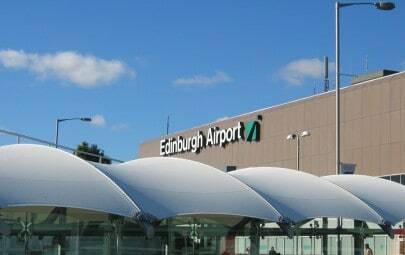 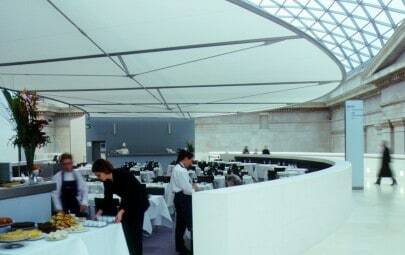 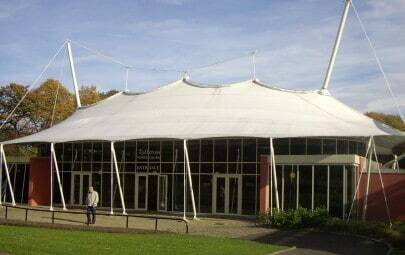 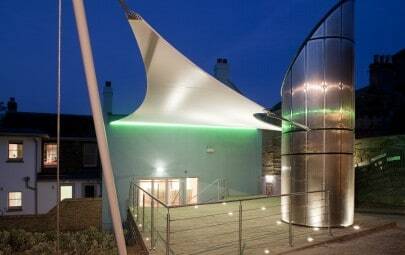 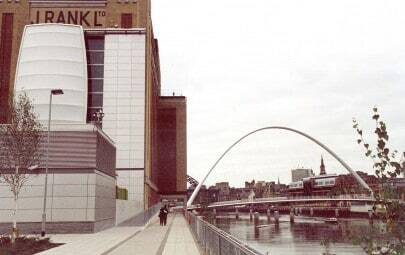 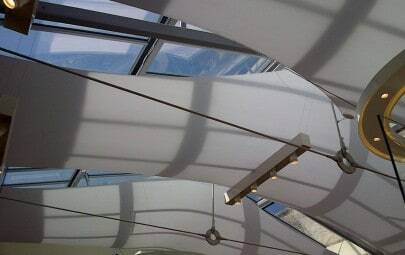 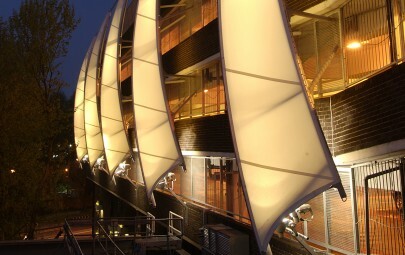 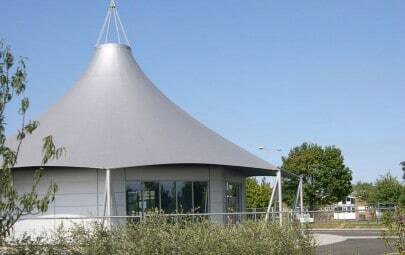 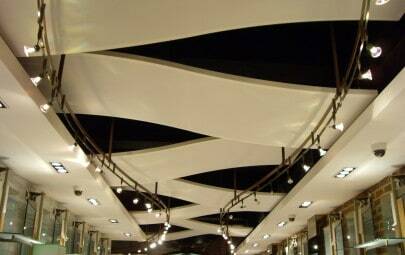 Our brilliant white PTFE fabric canopy brings interest and aesthetic appeal to an otherwise mundane building. 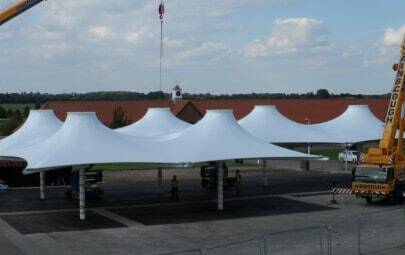 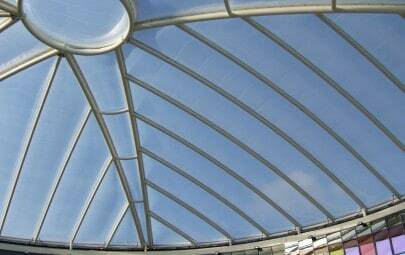 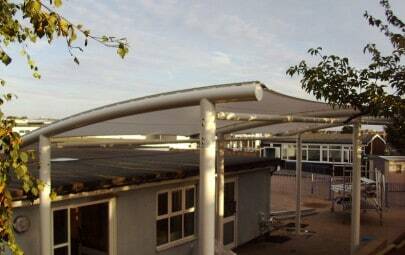 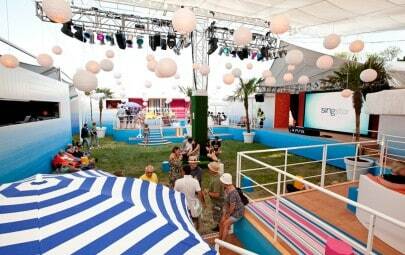 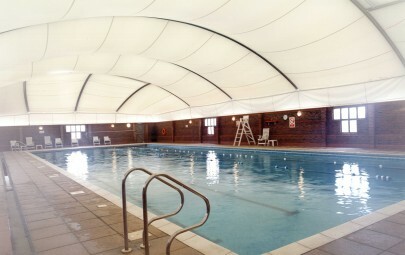 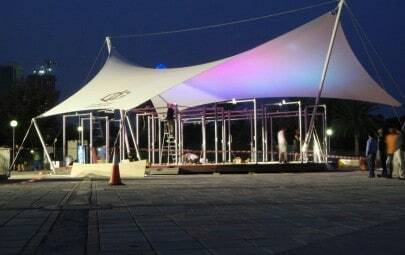 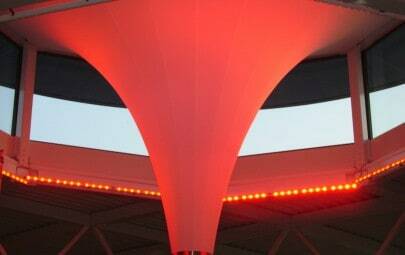 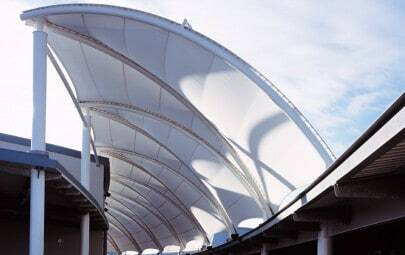 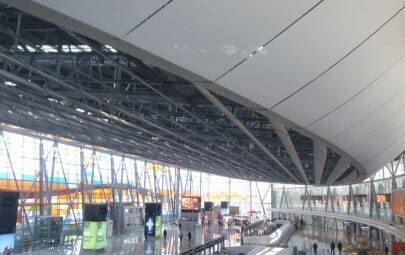 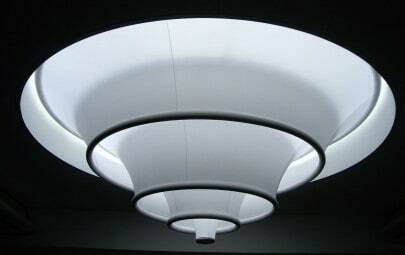 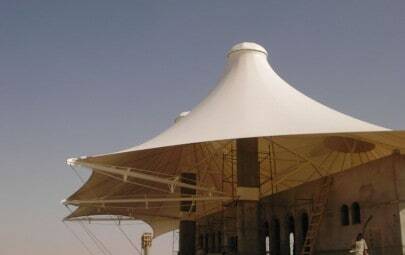 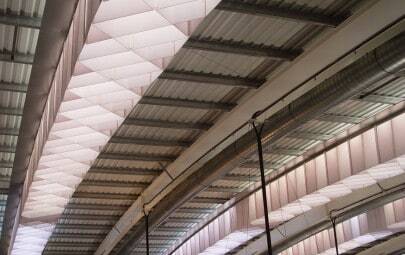 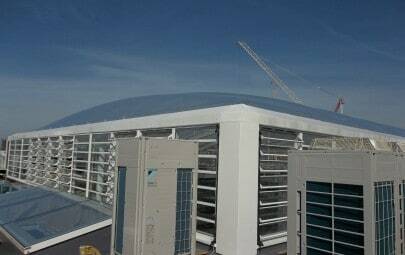 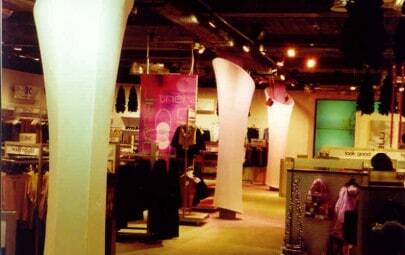 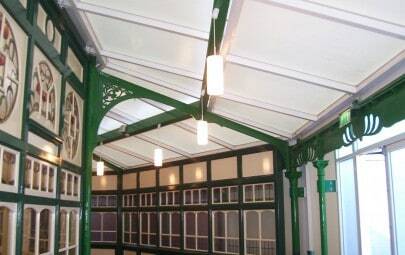 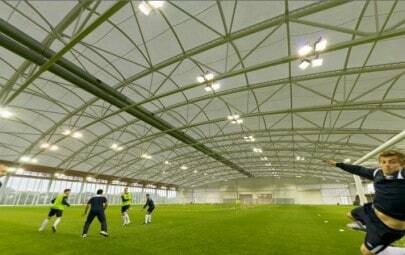 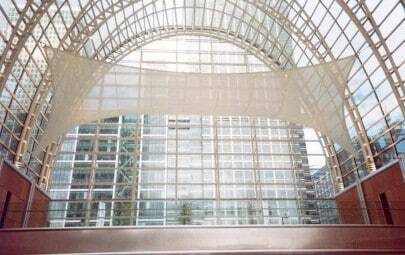 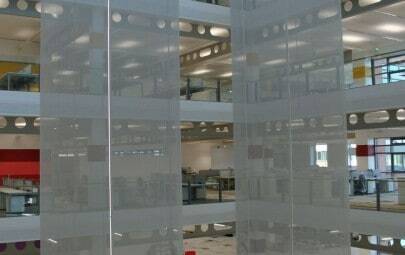 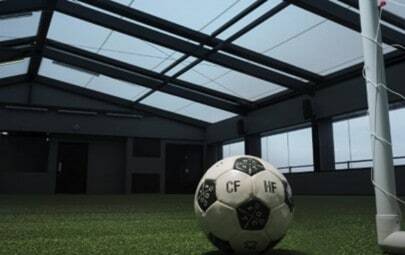 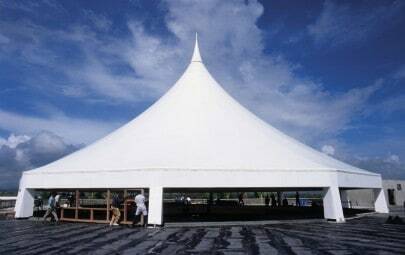 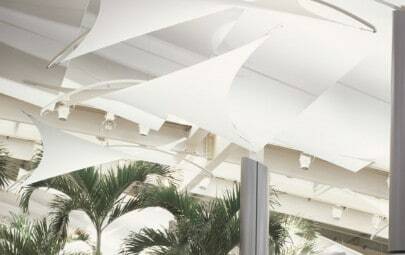 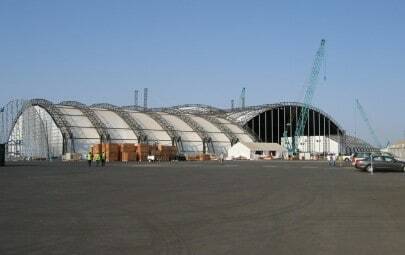 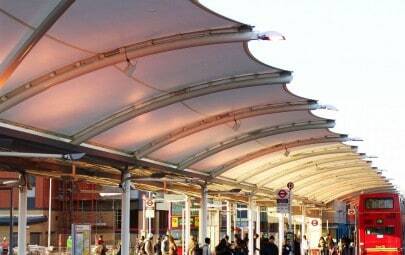 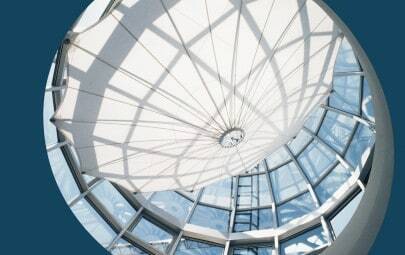 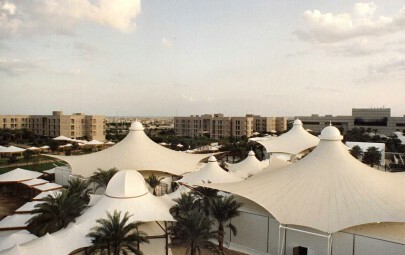 Manufactured from ptfe coated glasscloth the twin-coned canopy has been produced in one piece for fast and efficient installation. 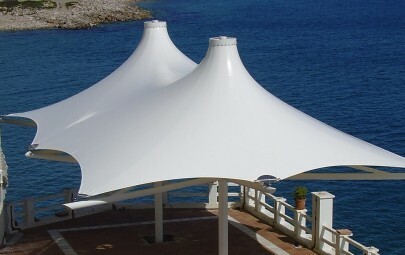 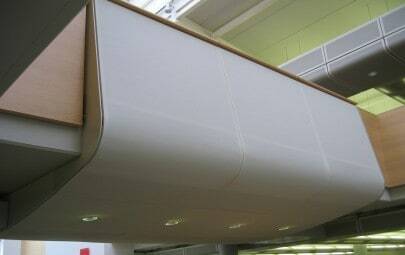 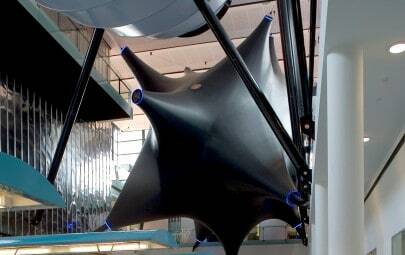 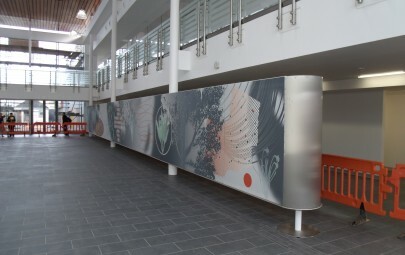 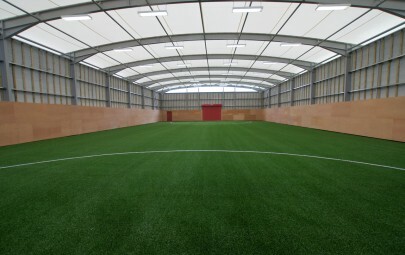 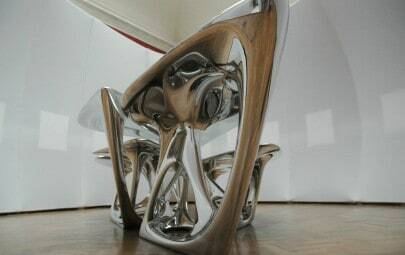 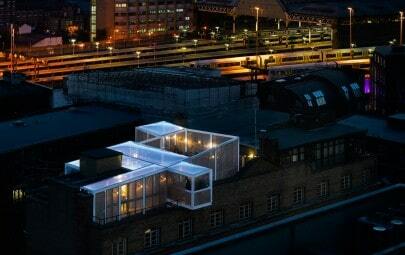 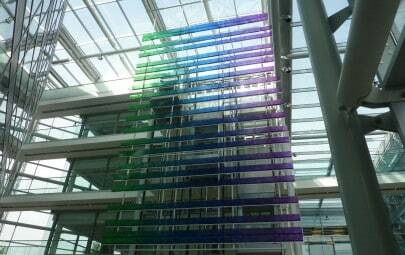 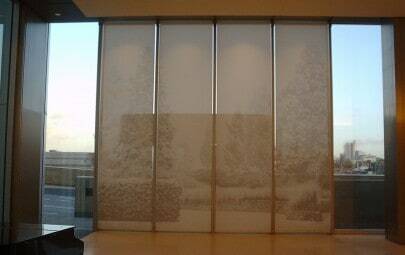 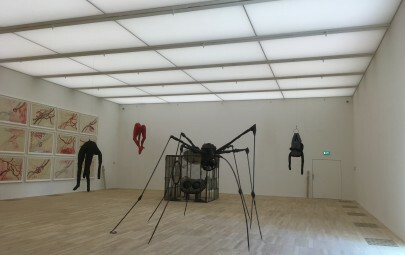 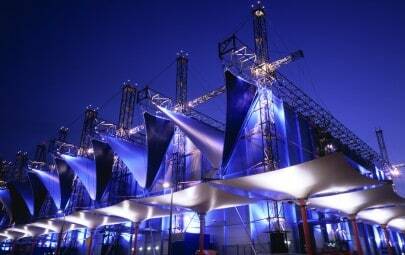 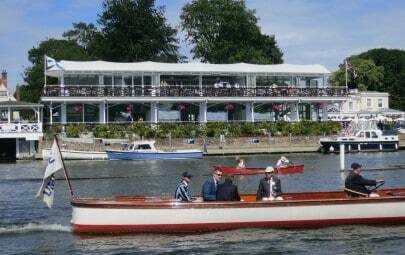 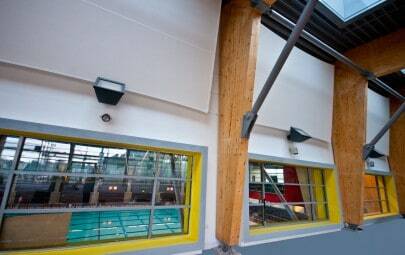 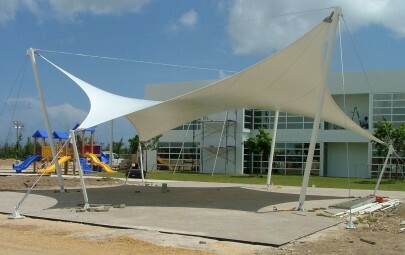 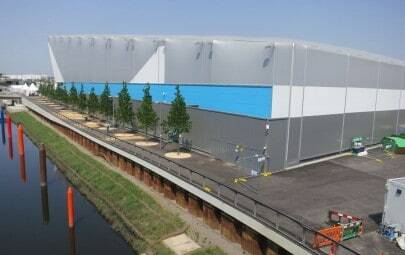 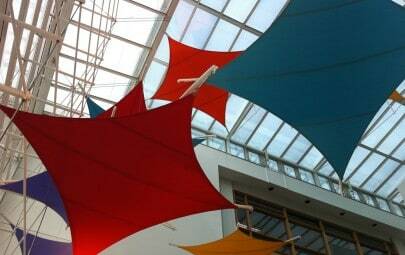 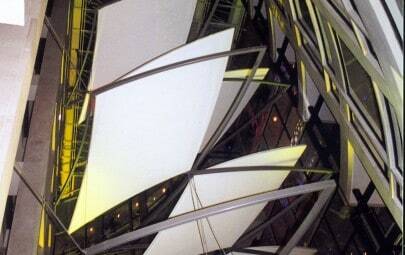 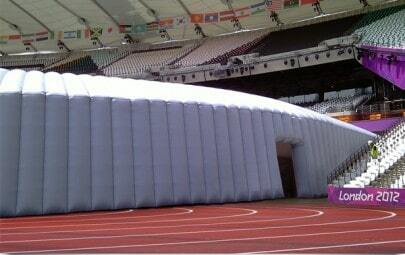 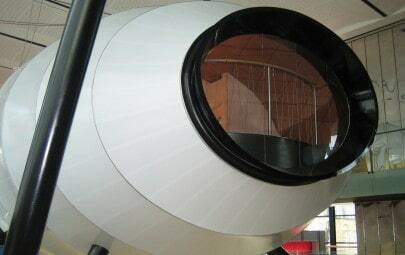 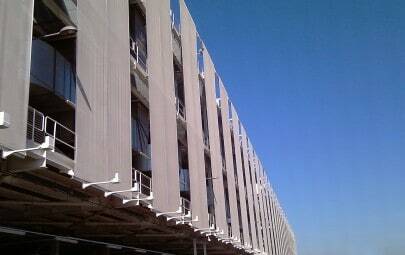 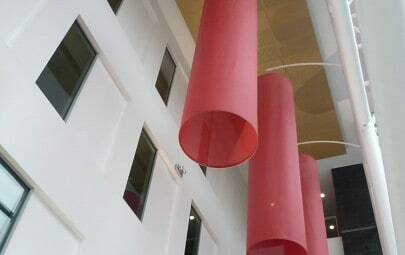 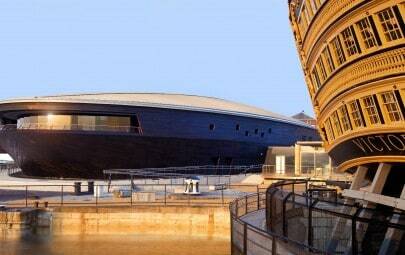 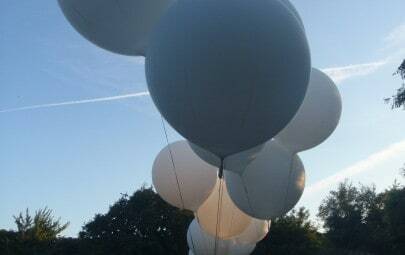 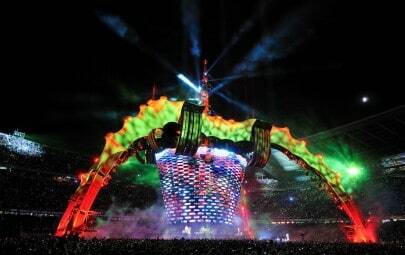 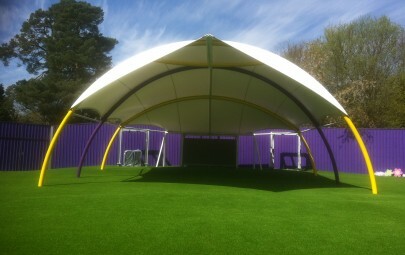 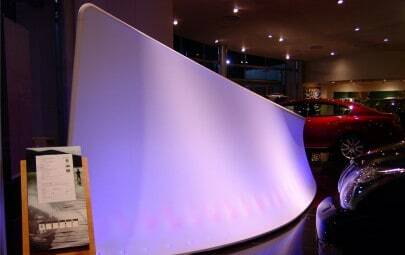 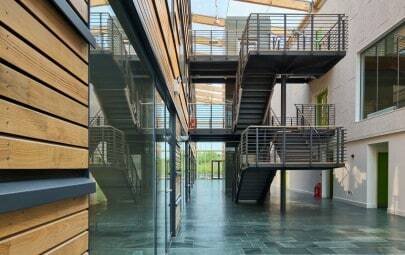 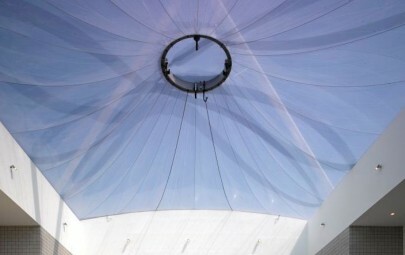 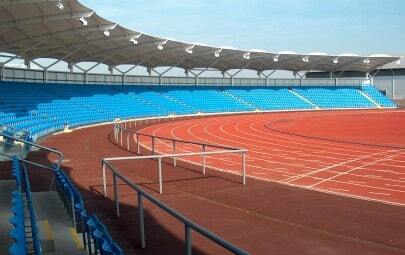 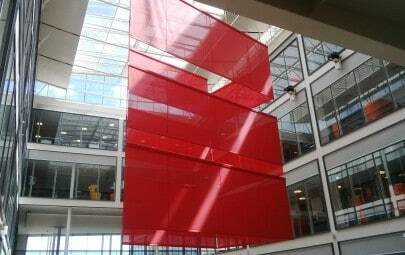 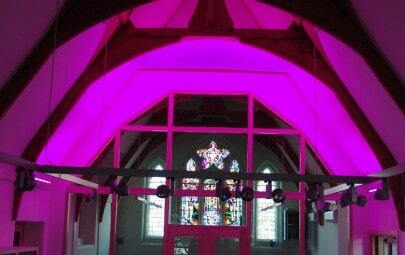 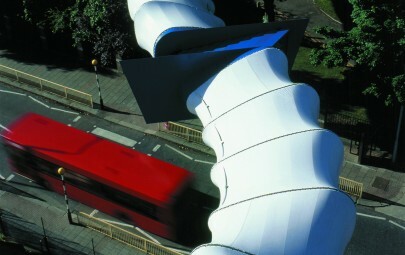 The perimeter of the fabric is attached to a powder polyester coated aluminium extrusion. 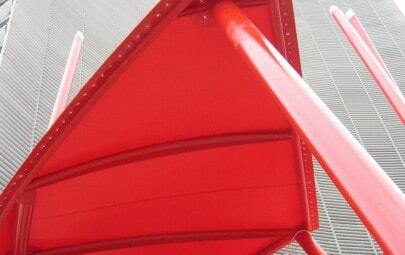 The mild steel support structure has been hot dip galvanised and painted. 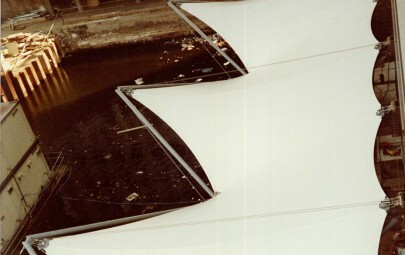 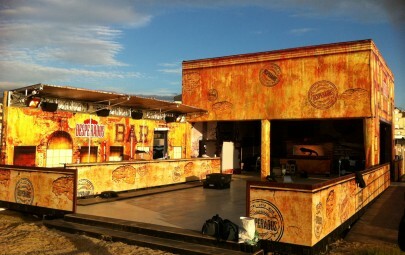 The paint system is finished in white semi-gloss. 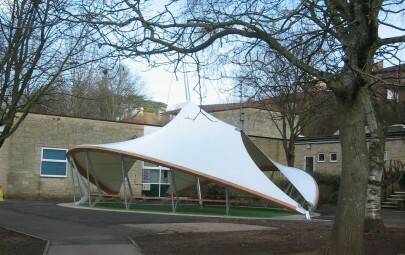 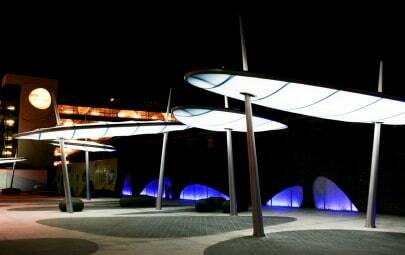 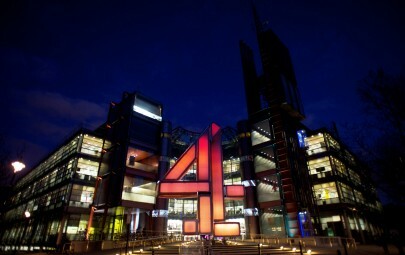 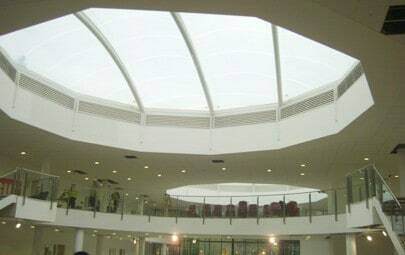 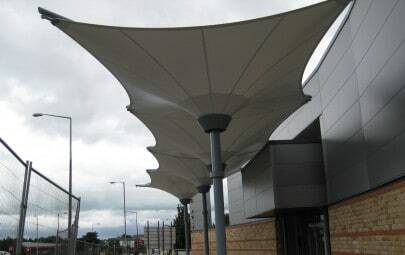 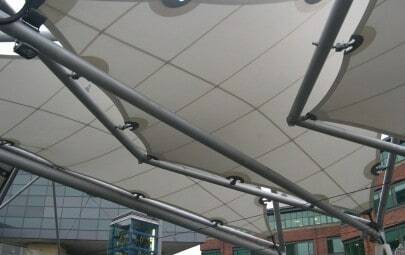 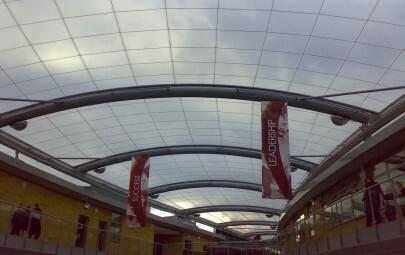 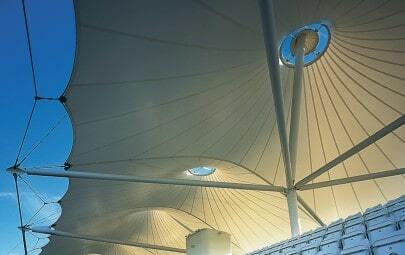 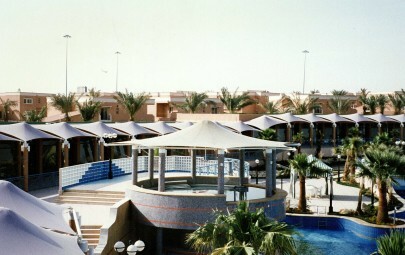 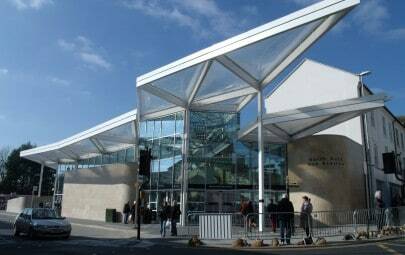 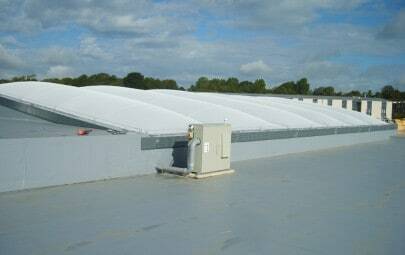 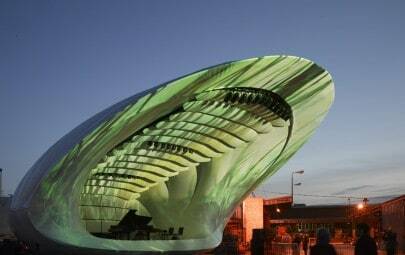 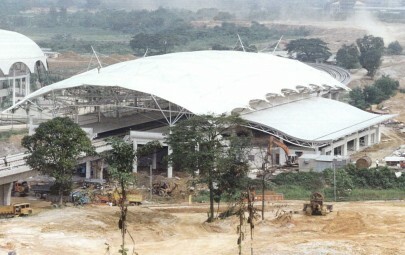 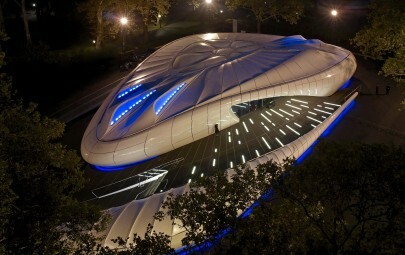 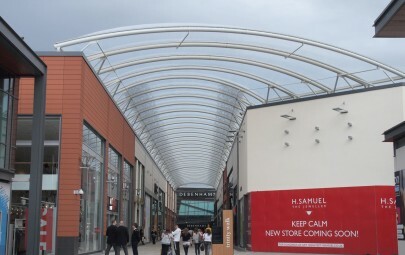 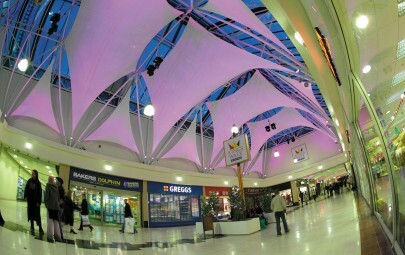 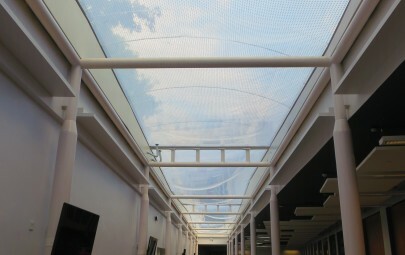 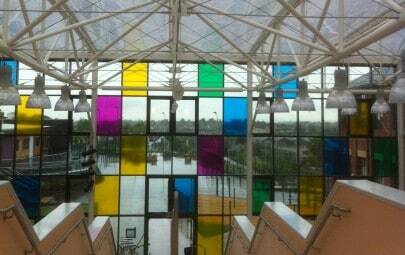 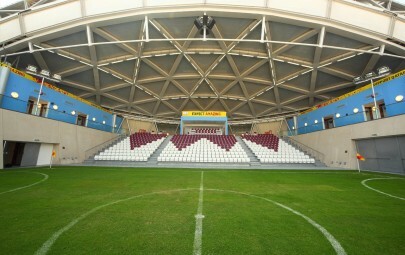 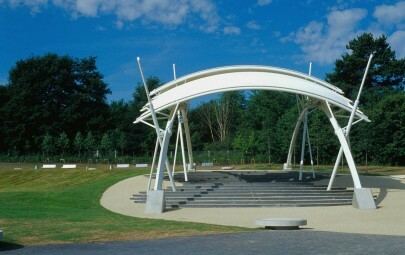 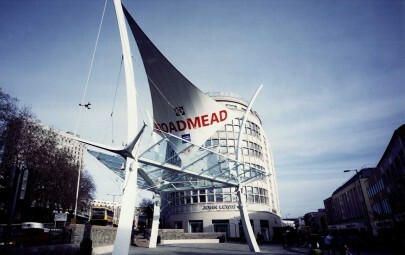 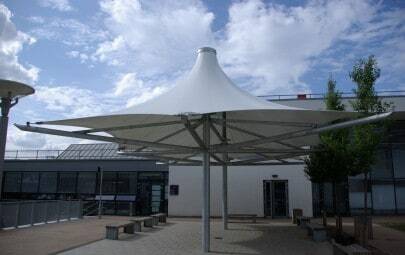 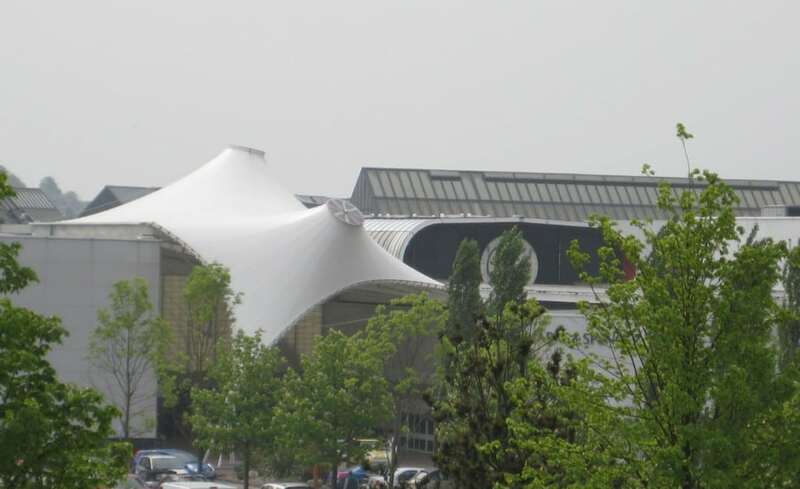 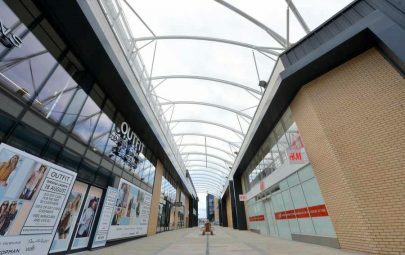 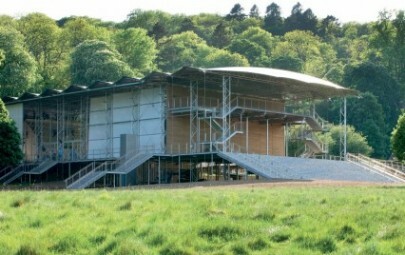 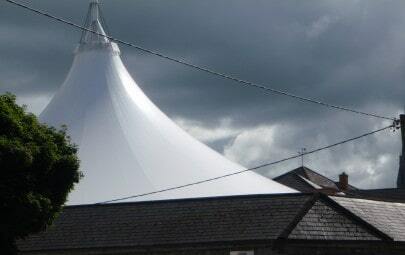 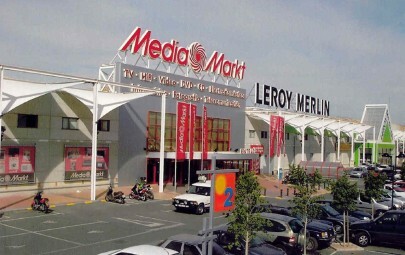 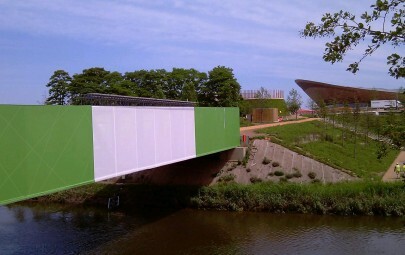 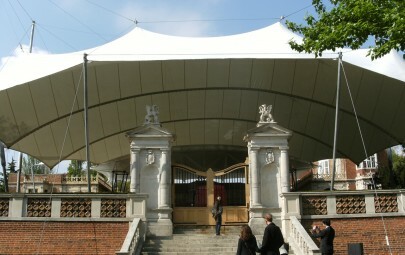 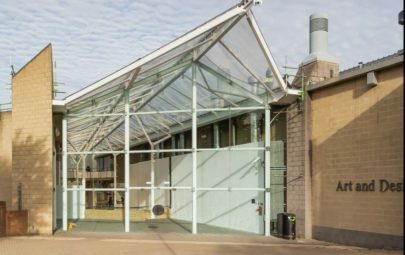 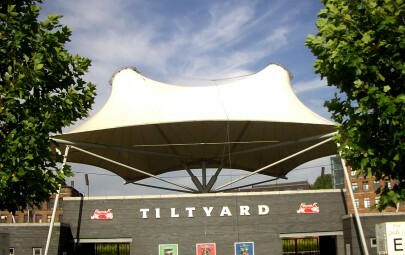 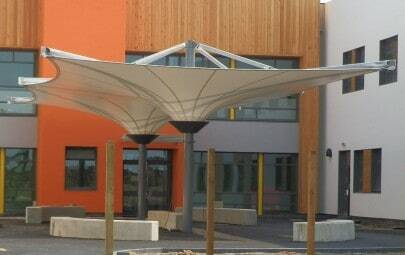 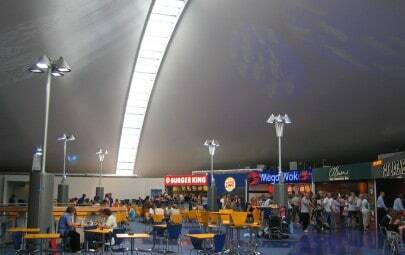 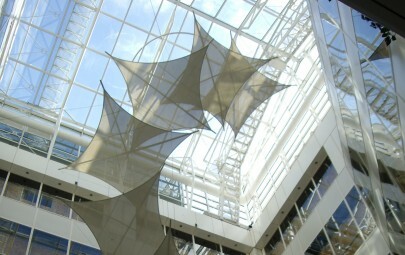 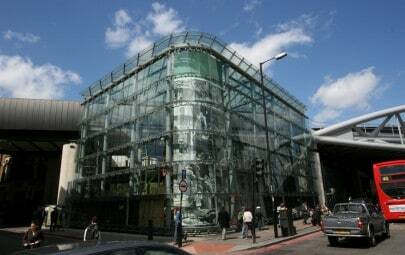 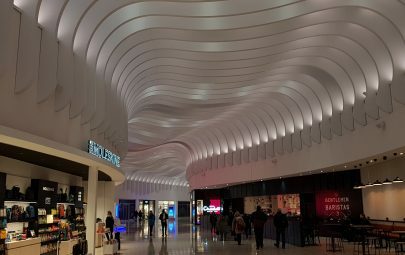 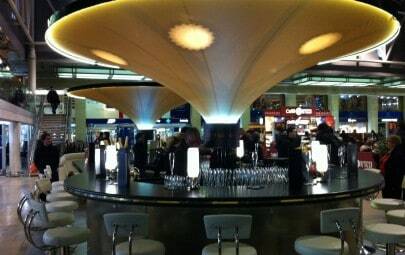 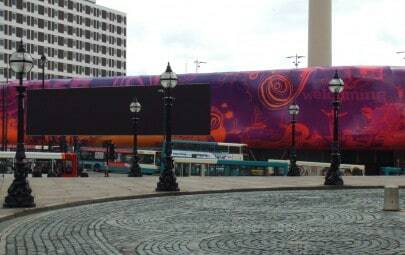 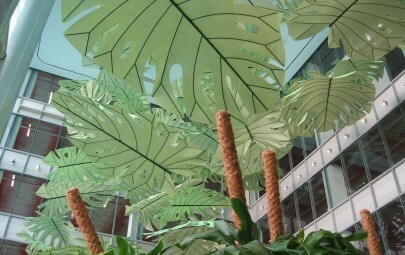 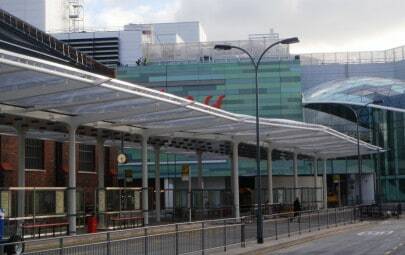 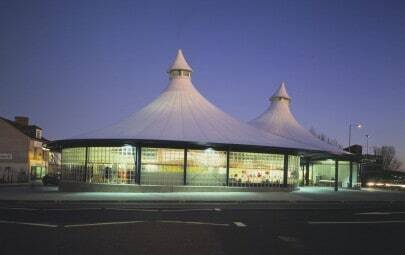 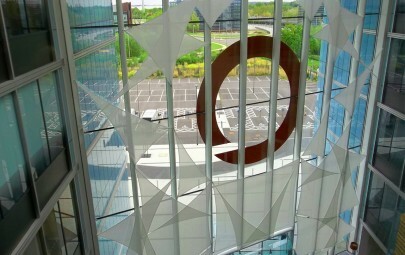 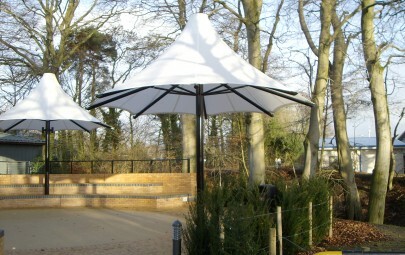 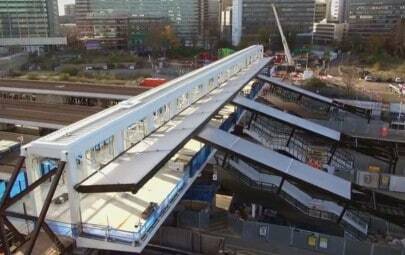 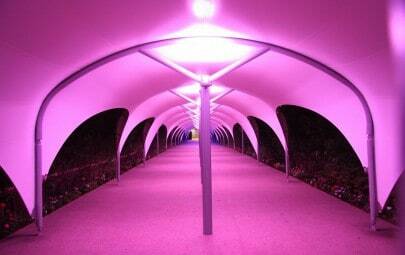 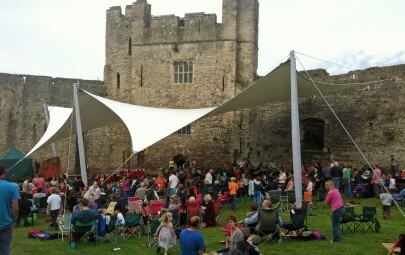 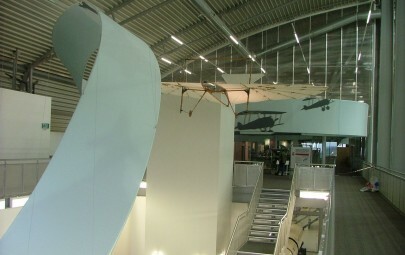 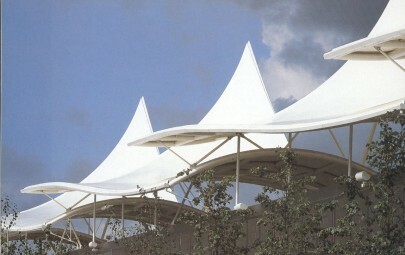 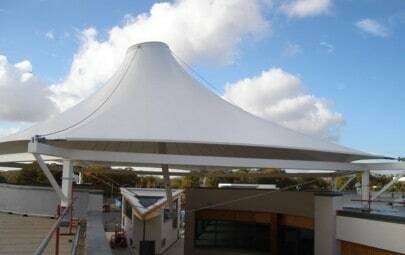 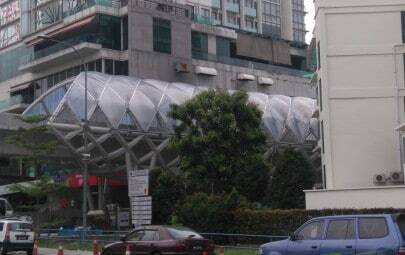 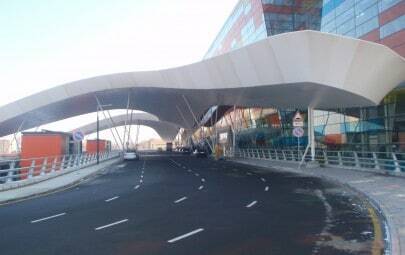 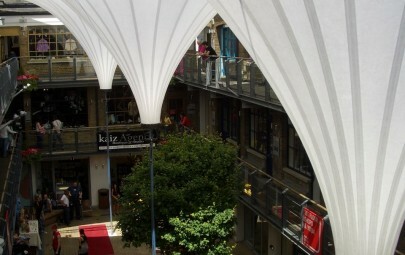 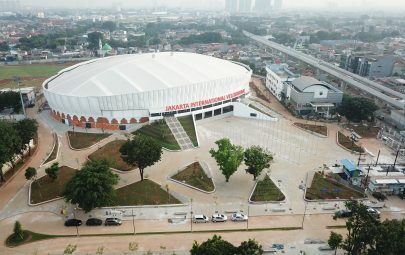 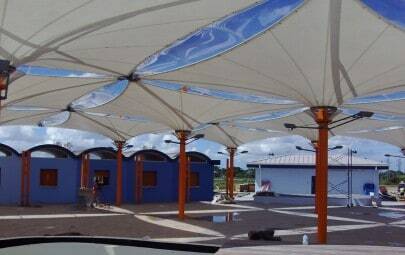 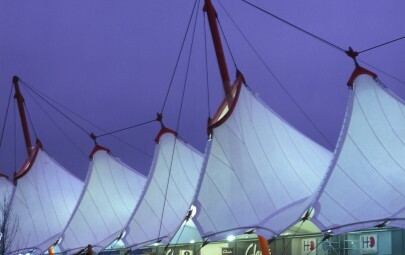 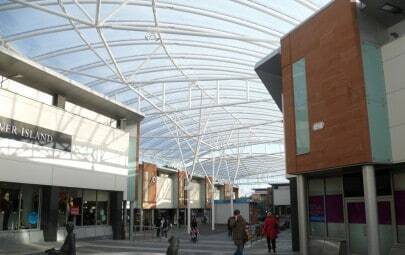 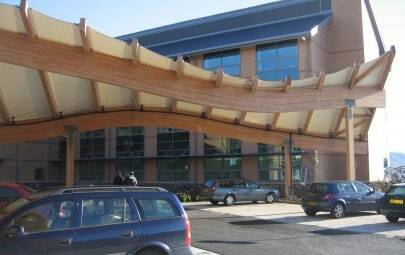 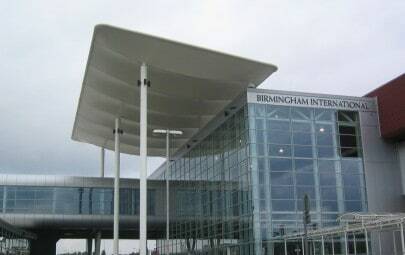 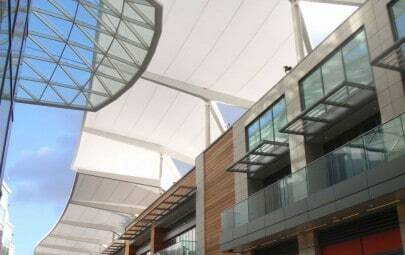 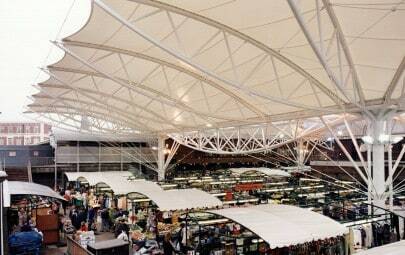 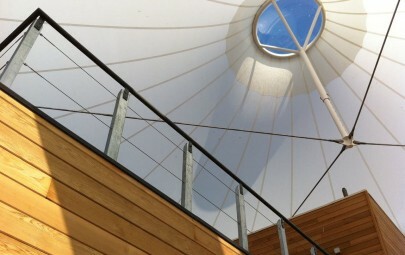 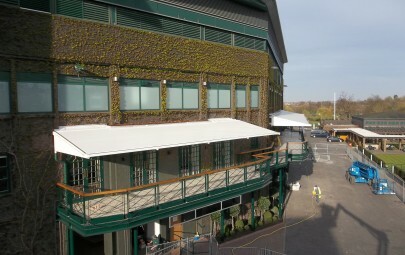 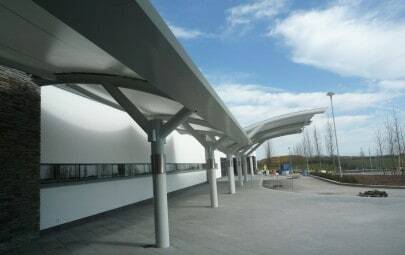 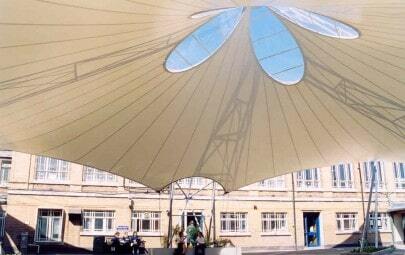 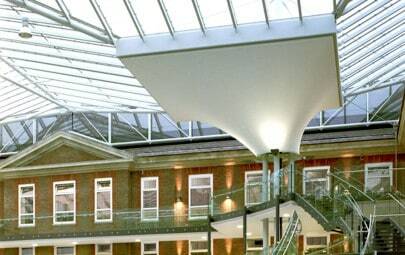 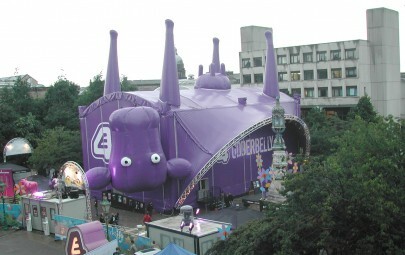 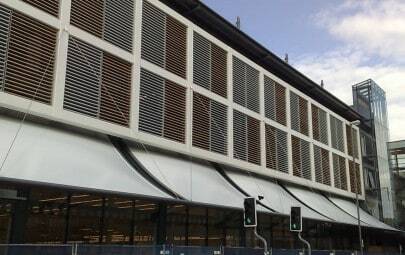 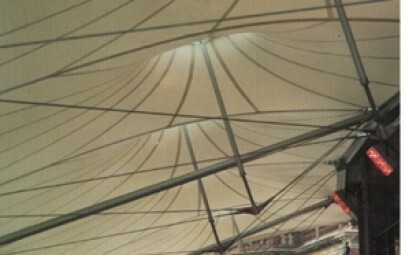 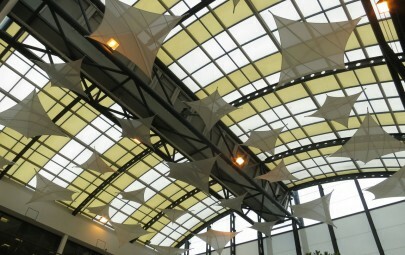 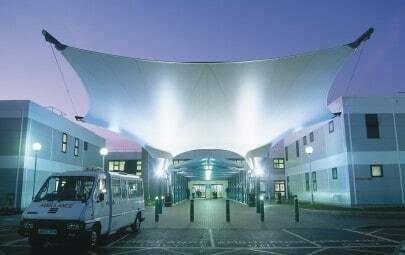 As well as presenting an attractive entrance to the shopping centre the canopy provides weather protection to shoppers. 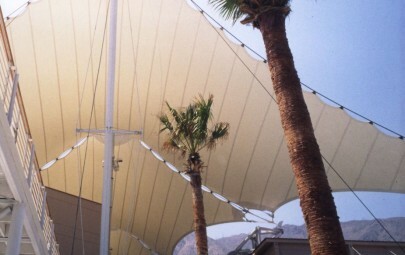 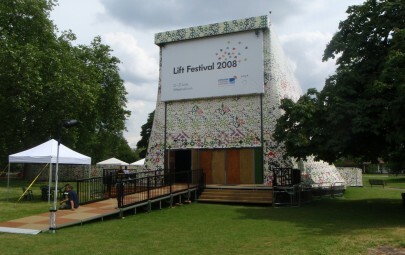 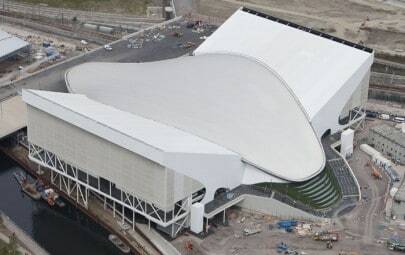 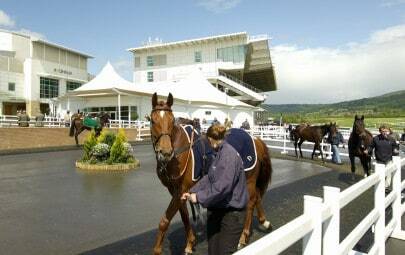 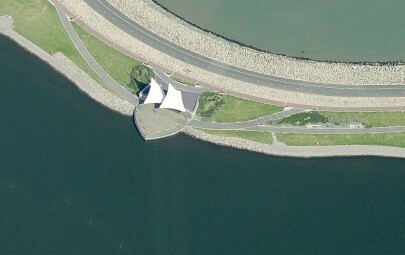 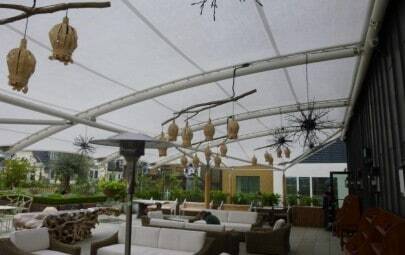 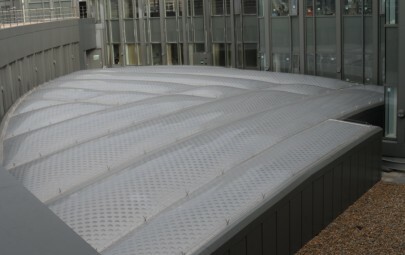 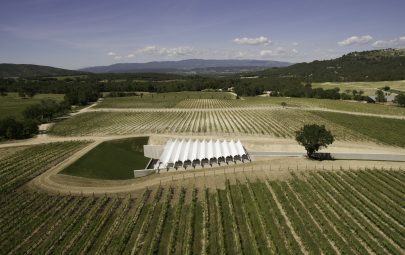 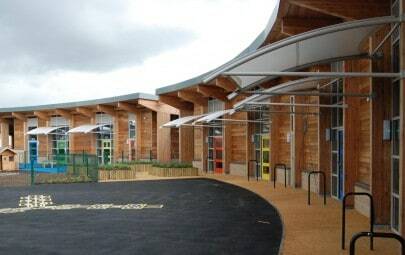 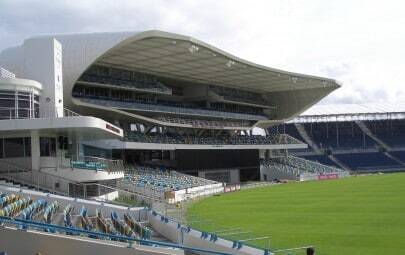 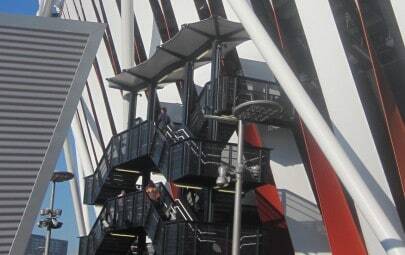 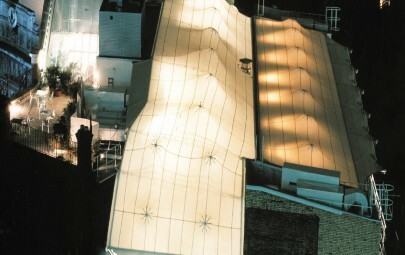 Rain water from the canopy is deflected at the front by fabric upstands into a hopper at the top of the structure and is then fed through pipes into ground level drainage.